Paramount Fitness Selectorized Dual Stations from Commercial Fitness Superstore of Arizona are a perfect choice for fitness facilities where space, budget or both are at a premium. Offering multiple exercises within a small footprint, combined with the proven quality of Paramount Fitness’s products, gives you peace of mind in placing this equipment into your facility. Paramount Fitness Selectorized Dual Stations by TRUE are the perfect choice for hotels and resorts, corporate fitness centers, police and fire agencies, apartment and condominium complexes, personal training studios or any facility where space and budget are limited. The Paramount FS-50 Leg Extension / Seated Leg Curl features a back cushion with 5-positions to accommodate a wide range of users, and a self adjusting ankle pad eliminates ankle pad adjustment, while providing adequate support in the range of motion. 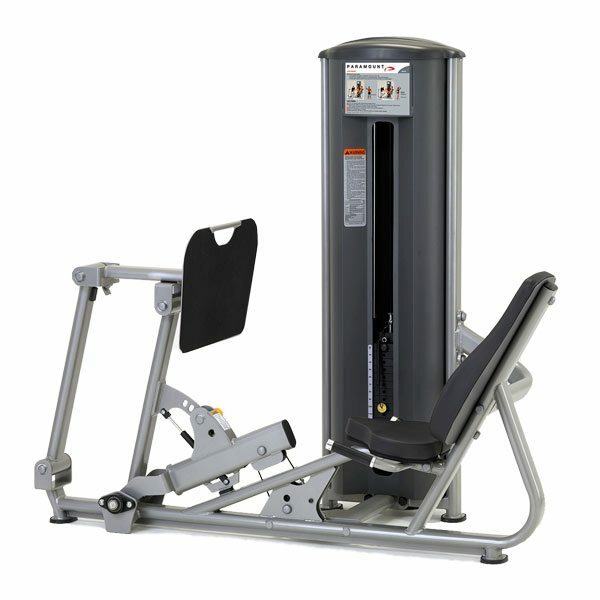 The Paramount FS-51 Leg Press / Calf Press features a back cushion with 5-positions designed to accommodate a wide range of users, along with a low profile design and ergonomically positioned handles for easy entry and exit. 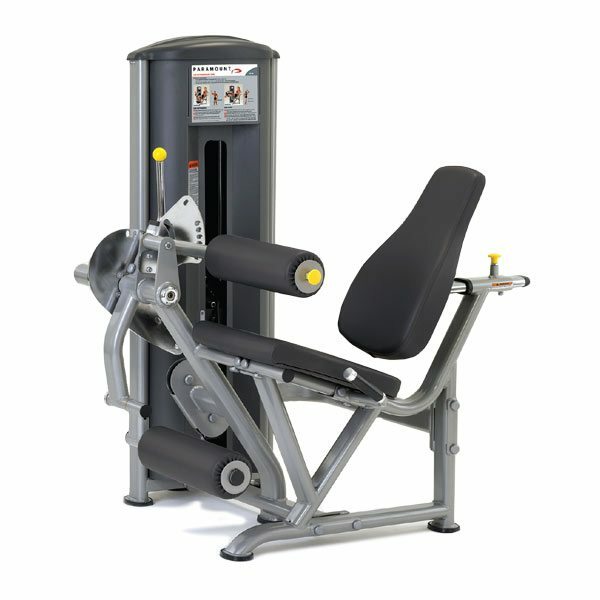 The Paramount FS-52 Inner / Outer Thigh machine features a back cushion with 5-positions to accommodate a wide range of users. 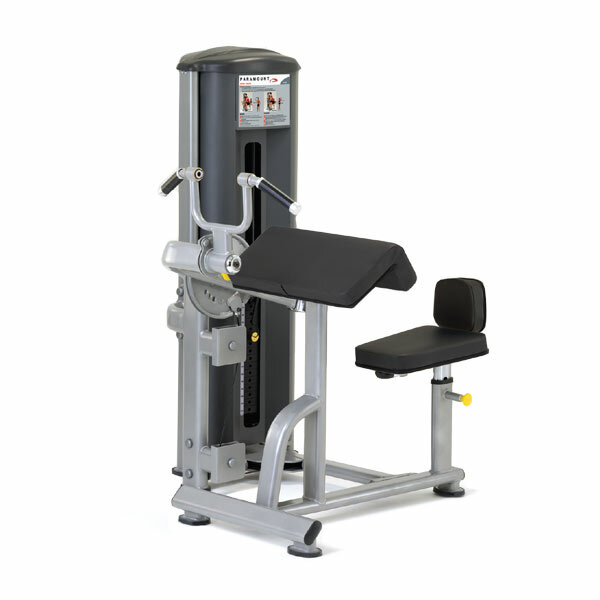 The FS-52 Inner / Outer Thigh machine also includes swiveling thigh pads which are easily accessible from the seated position and accommodate both Inner and Outer Thigh exercises. 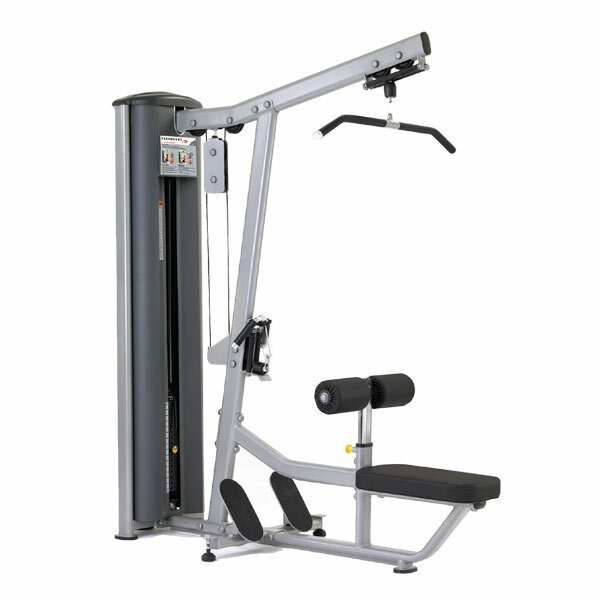 The Paramount FS-53 Lat Pulldown / Seated Row features an 8 position thigh pad, which can easily adjust to accommodate a wide range of users. And, dual foot platforms provide support and encourage proper alignment during seated row movement. 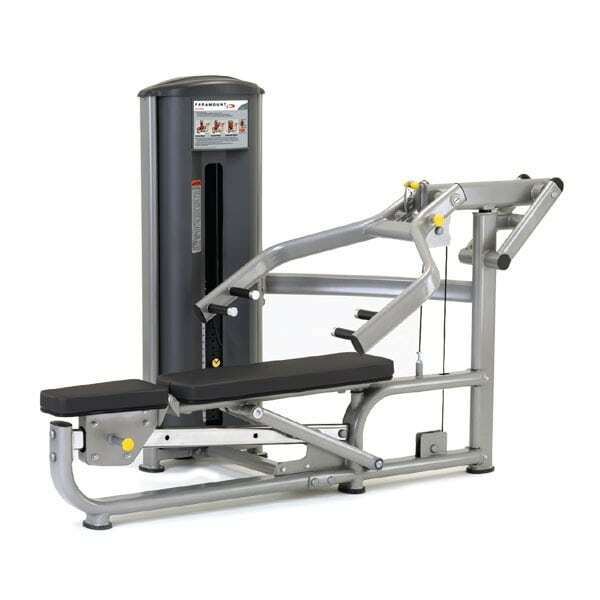 The Paramount FS-54 Multi-Press features a 4 position seat and back pad assembly which can easily adjust for Supine, 25 and 45 degree Incline, and Shoulder Press movements. The 5 position arm allows users to choose the range of motion best suited to their individual needs. 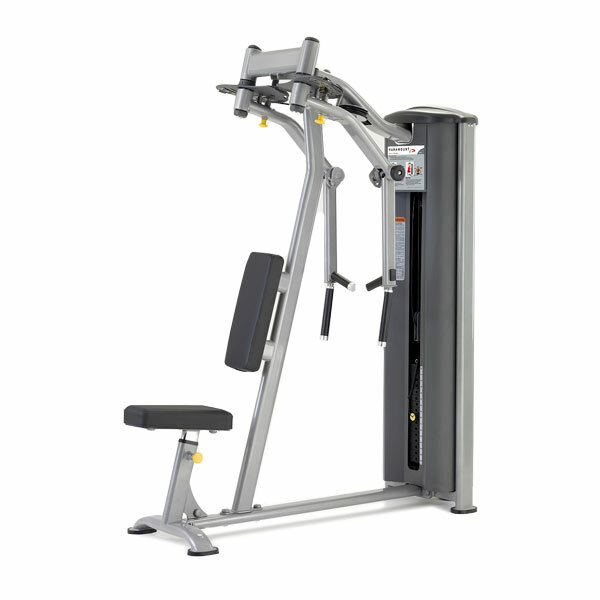 The Paramount FS-55 Pec Fly / Rear Delt machine features a 7 position arm adjustment, providing a full range of motion for both Pectoral Fly and Rear Deltoid movements. Dual-position handles with angled grips pivot to accommodate a wide range of users and to replicate fluid dumbbell movements. 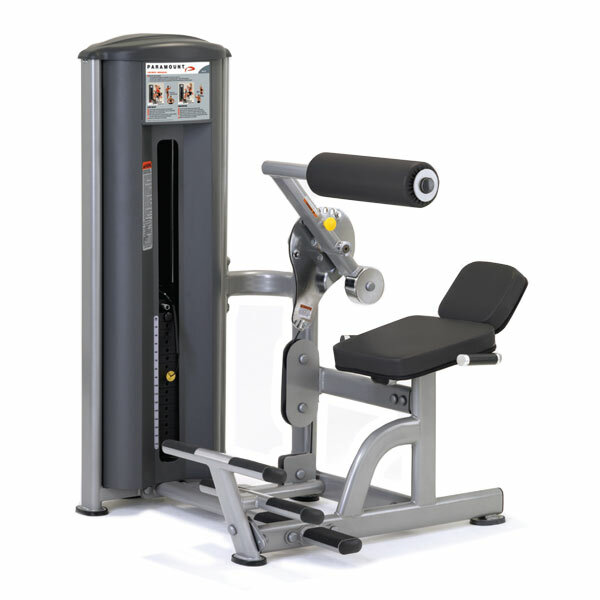 The Paramount FS-56 Biceps / Triceps machine is designed to provide users with 3 starting positions for both curls and extensions, which allows them to choose the range of motion best suited to their individual needs. 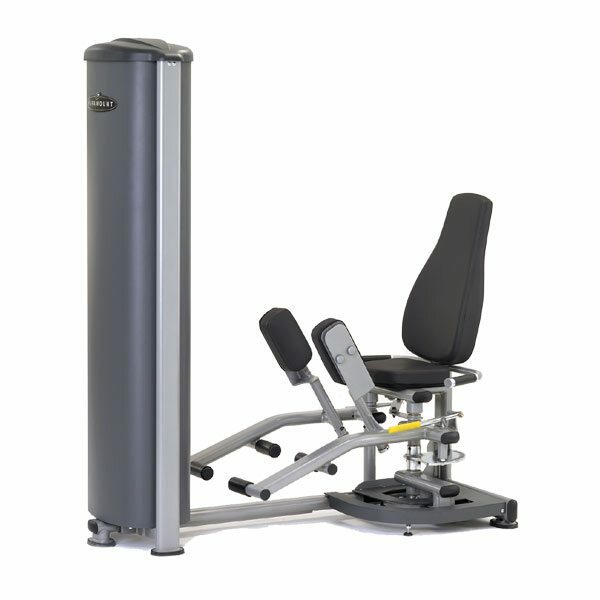 The Paramount FS-57 Low Back / Abdominal provides a 5 position range of motion adjustment which allows users to easily change between Low Back and Abdominal exercises. Dual non-slip foot positions accommodate a wide range of users while providing support during exercise.